It's been almost thirty years since the publication of Eugene Richards' landmark book, Below the Line: Living Poor in America. The book, though acclaimed at the time, was also controversial. Critics applauded the revealing nature of the stories, but often added, as if in the same breath, that what was being shown was a negative view of the country, one that lacked hope. Pushed to reply, Richards countered that these stories were, in fact, portraits in courage. Each person encountered on his journey across America was struggling, against great odds, to better him or herself. On the occasion of its 5th anniversary in October 2016, the BDC is honored to present Below the Line: Living Poor in America by Eugene Richards. The exhibition will feature more than two dozen black and white photographs from Richards's seminal project that depicts the extent of poverty in the United States in the mid 1980s. 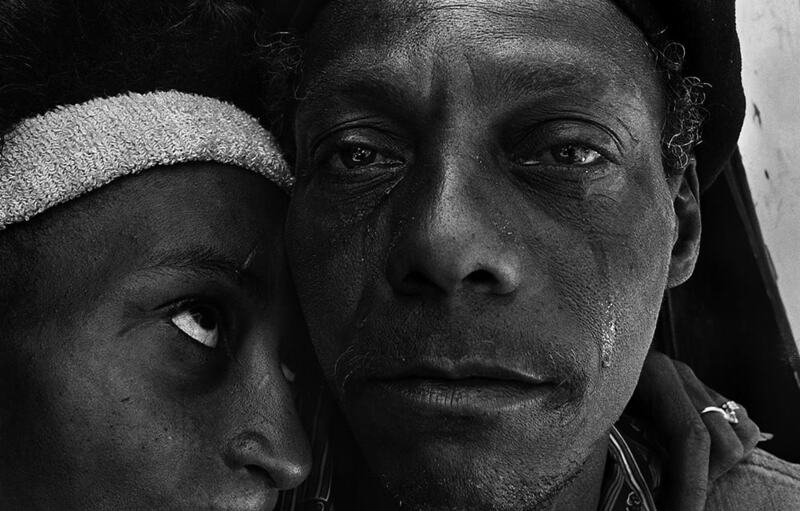 The project garnered Richards the 1987 International Center of Photography Infinity Award for Outstanding Accomplishment in Photographic Reportage. Published by Consumer Reports Books in 1987, Below the Line consisted of taped interviews and photographs made by Richards during a seven-month journey across America in 1986 visiting poor rural and urban communities in eleven states from Massachusetts to Wyoming. Richards writes: "As one person's history unfolded, I was often directed towards others. When I was with embattled farmers in South Dakota, I was moved to think of the migrant laborers who also worked the land, yet have no title to it. The family I visited in the Tennessee Mountains was barely hanging onto their ancestral homeland. How must it be, then, for people newly arrived in this country that must adapt to a new language, different customs, to an inhospitable economy? In the Arkansas Delta, the grandchildren of the aging and weary sharecroppers I photographed could barely wait to get away from home, to Chicago or New York, which held more promise for them... "
The BDC's Melrose neighborhood in the Bronx remains one of America's poorest communities, located just four subway stops away from one of the country's wealthiest, the Upper East side of Manhattan. It is the BDC's hope that Richards's powerful exhibition will stimulate a dialogue between the local communities it serves and the world at large about actionable steps to fight poverty.